If you haven’t read any of Norman Partridge’s work you are really, really missing out on something special. Partridge not only has a way with words he’s also got a serious affinity for the Halloween season. And very few make Halloween as terrifying as this man. 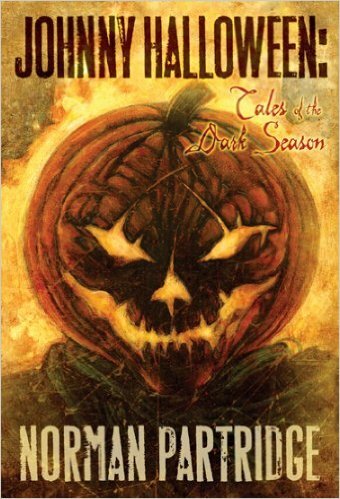 Johnny Halloween is a collection of tales that drop the reader right in the thick of October and not a single one of these stories fails to impress. Johnny Halloween is just a stunning collection and a true must-own! Synopsis: Now Partridge revisits Halloween with a collection featuring a half-dozen stories celebrating frights both past and present. In “The Jack o’ Lantern,” a brand new Dark Harvest novelette, the October Boy races against a remorseless döppelganger bent on carving a deadly path through the town’s annual ritual of death and rebirth. “Johnny Halloween” features a sheriff battling both a walking ghost and his own haunted conscience. In “Three Doors,” a scarred war hero hunts his past with the help of a magic prosthetic hand, while “Satan’s Army” is a real Partridge rarity previously available only in a long sold-out lettered edition from another press. But there’s more to this holiday celebration besides fiction. “The Man Who Killed Halloween” is an extensive essay about growing up during the late sixties in the town where the Zodiac Killer began his murderous spree. In an introduction that explores monsters both fictional and real, Partridge recalls what it was like to live in a community menaced by a serial killer and examines how the Zodiac’s reign of terror shaped him as a writer.